When you’re running, you can’t look too far ahead. You can’t look behind. You can only focus on the now. Ever since her vision started deteriorating, fourteen-year-old McKenna Barney has felt out of place in the world. Out of place at home and school and even on the trail with her dogs. Now, to help her younger sister with her own ongoing battle with eye disease, McKenna finds herself at the head of her team of eight sled dogs in a race she’s not sure she can even see, let alone win. For three days of shifting lake ice, sudden owl attacks, bitterly cold nights and frequent snow squalls, McKenna faces both the Canadian wilderness and her terrifying weakness. But she hides the truth from everyone, including her toughest rival, Guy, despite their budding alliance. Will McKenna risk her survival as well as that of her team to keep her secret? email your preorder receipts and mailing address to DogDrivenpromo@gmail.com and you’ll receive a signed bookplate, bookmark and sticker, and sneak peak! you’ll also be entered to win a grand prize of signed copies of all of my books! 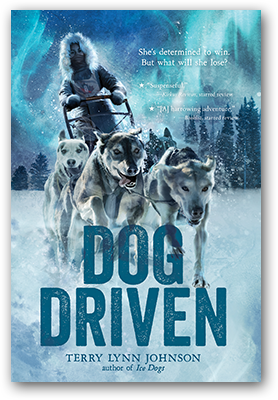 if your students or book clubs preorder 10 or more copies of Dog Driven, I’ll send you SWAG for all your students in your class and will do free Skype dogsledding presentation! I’ve been wanting to write a novel set near my home for years. 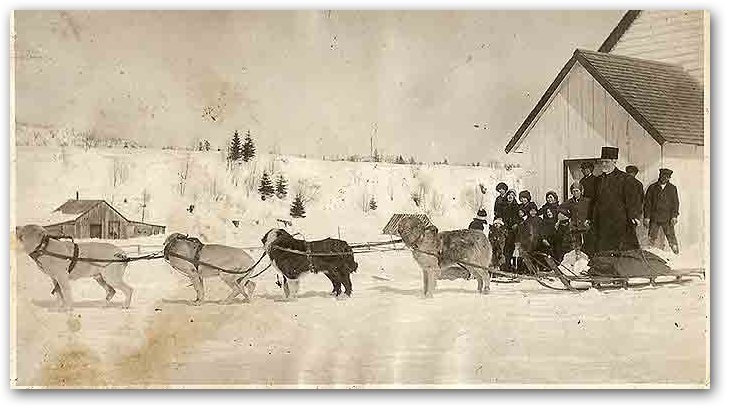 The historic dogsled mail run has a rich history in Canada. It was important to burgeoning northern communities, much like the Pony Express in the US. My research uncovered heroic stories, tragedy, adventure, and even a few gangsters! But the most important parts for me to write are always the relationships between a musher and their sled dogs. In Dog Driven, there are teams of sled dogs each with their own unique characters. I can’t wait for you to meet them. A sled dog team in Michipicoten, 1920. Photo courtesy of the Town of Wawa Heritage Committee. I gratefully acknowledge the support of the Ontario Arts Council for providing me a grant to write this novel.